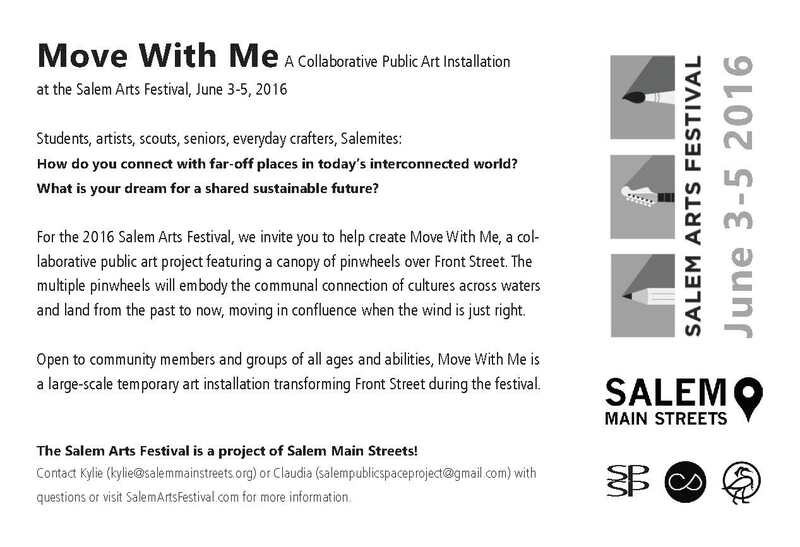 Move With Me is the 2016 participatory community art installation for the Salem Arts Festival. 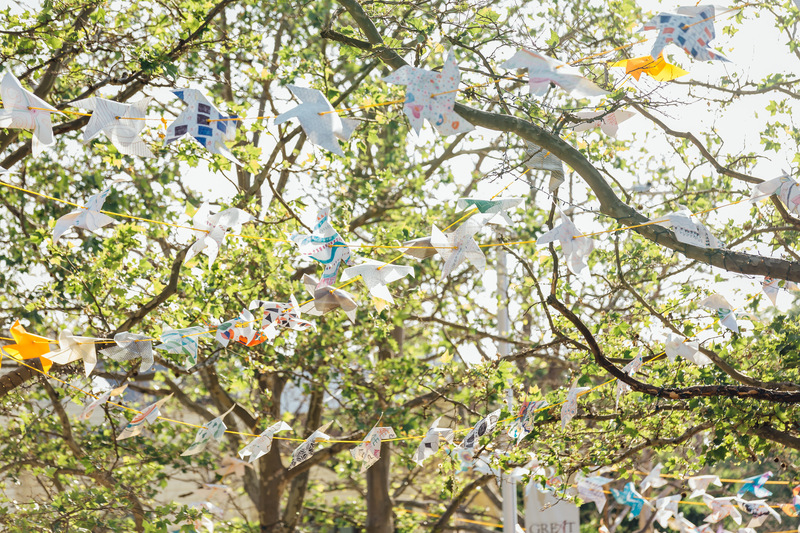 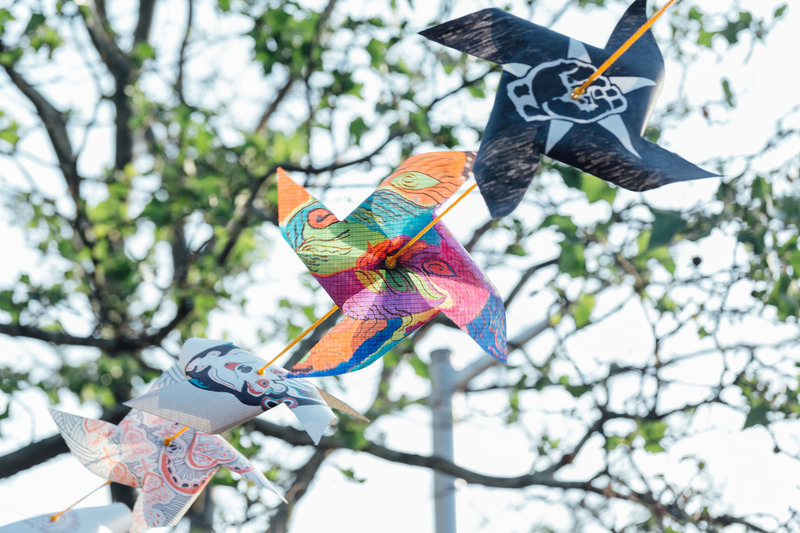 Over 300 participants connected to Salem’s continued legacy of sailing by creating pinwheels from sailcloth donated by Doyle Sailmakers, a local institution since 1982! 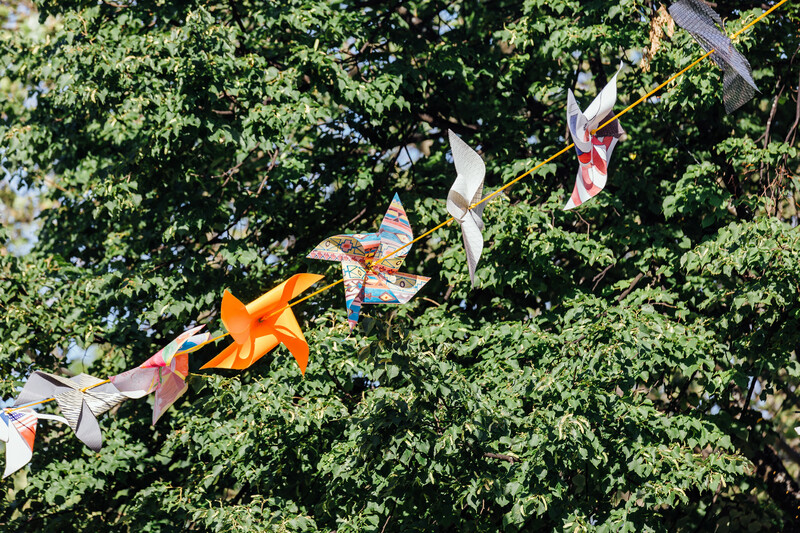 We use the wasted bits and left over pieces to create pinwheels playfully reminiscent of power-generating turbines. 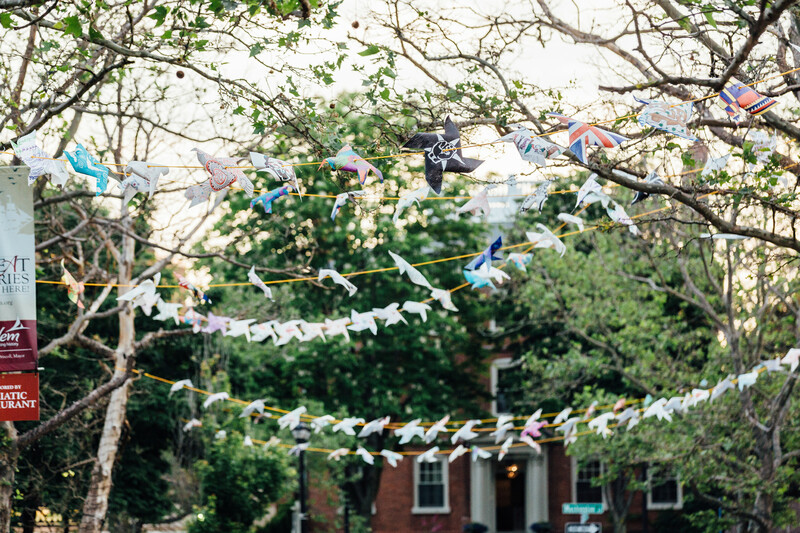 Participants connected to distant cultures by taking time to draw out cultural patterns from across the world, directly onto the sailcloth with permanent markers to withstand the rain. 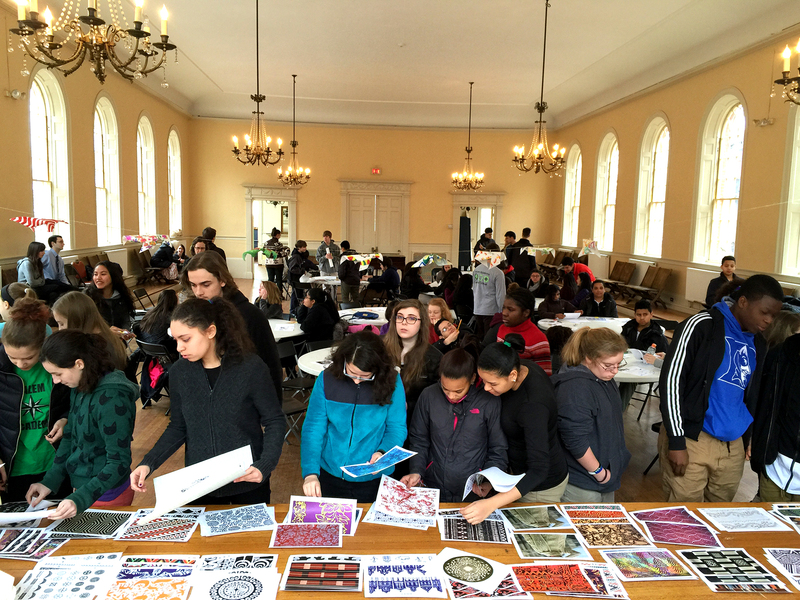 Choose a country you’d like to represent, dig up a cultural pattern, textile or motif and draw it on a sailcloth square. 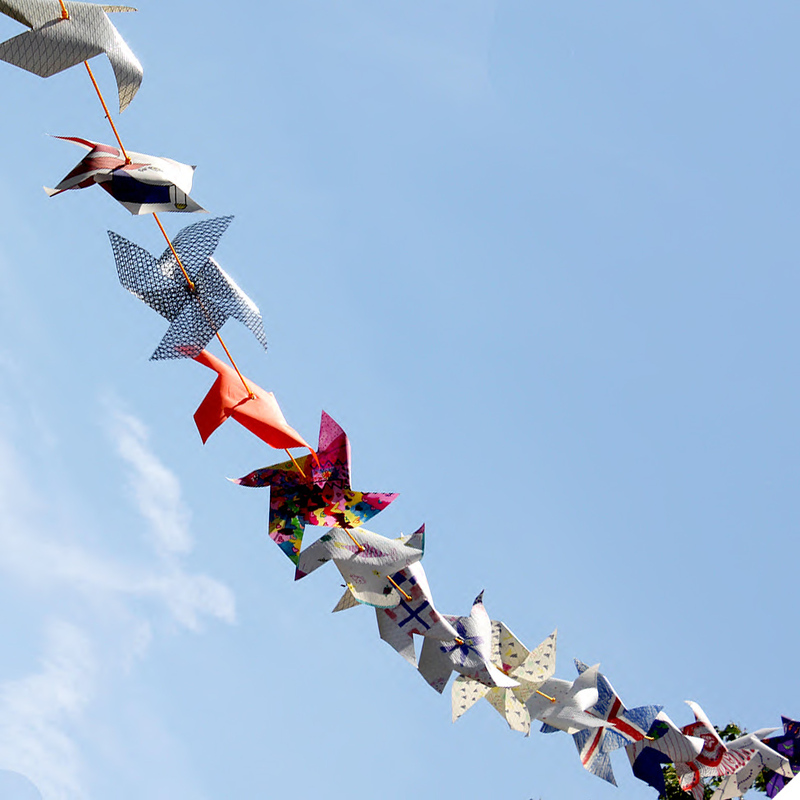 The pinwheels lightly touch Front Street and are made of mostly recycled materials. 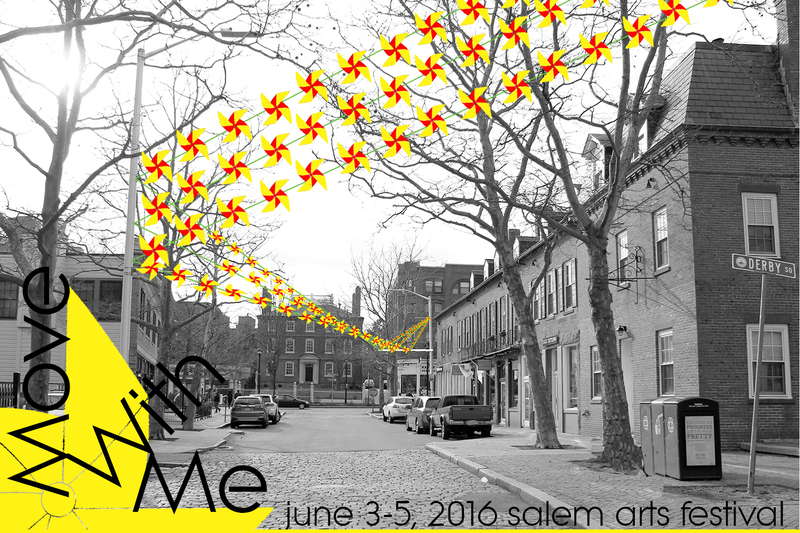 In the months leading to the festival on June 3-5, we led multiple public workshops.